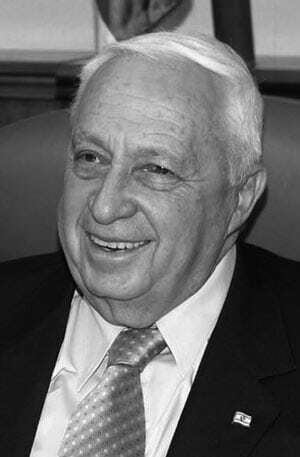 January 11, 2014 (JTA) – Ariel Sharon, one of Israel’s last warrior statesmen, whose military and political careers were woven into his nation’s triumphs and failures, has died. Sharon, 85, died Saturday at the Sheba Medical Center near Tel Aviv after eight years in a coma. “He went when he decided to go,” said his younger son, Gilad, who has become the fierce guardian of his father’s legacy. He was among the last of Israel’s founding fathers, fighting in every Israeli military conflict in the first three decades of the state. As a general, Sharon helped turn the tide of the Yom Kippur War with Egypt in 1973. As defense minister, he plunged his nation into the crucible of Lebanon in 1982, an engagement that nearly cut short his career after he was found to bear indirect responsibility for the massacre of Palestinian refugees at the Sabra and Shatila refugee camps in Lebanon. But Sharon would rise from the ashes of that calamity to effect an astonishing about-face as prime minister, orchestrating the evacuation of thousands of Israeli settlers from the Gaza Strip after spending the bulk of his career championing the settlement enterprise. As prime minister, Sharon began the construction of Israel’s controversial security fence in the West Bank. His overriding concern, Sharon always said, was to protect a nation built on the ashes of the destruction of European Jewry. “I arrived here today from Jerusalem, the capital of the State of Israel, the only place where Jews have the right and capability to defend themselves by themselves,” he said in a May 2005 visit to Auschwitz to mark 60 years since the Holocaust. He forged affectionate bonds with Diaspora Jewish leaders, interspersing his English with Yiddishisms and often urging them to emigrate to Israel.